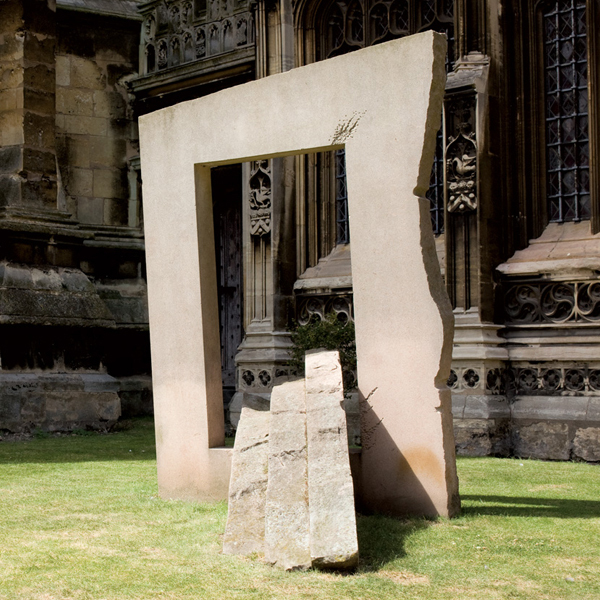 Within/Without was one sculpture among many exhibited at Lincoln Cathedral in 2002 and was purchased at the close of the show. ‘Transformation, regeneration and humanities interaction with it’s environment are themes which run through my sculpture. Landscape is an active element in works I make; I use huge, naturally riven and patinated slabs of quarry cliff face, actual landscape rather than an illustration of landscape, as a starting point for many works. 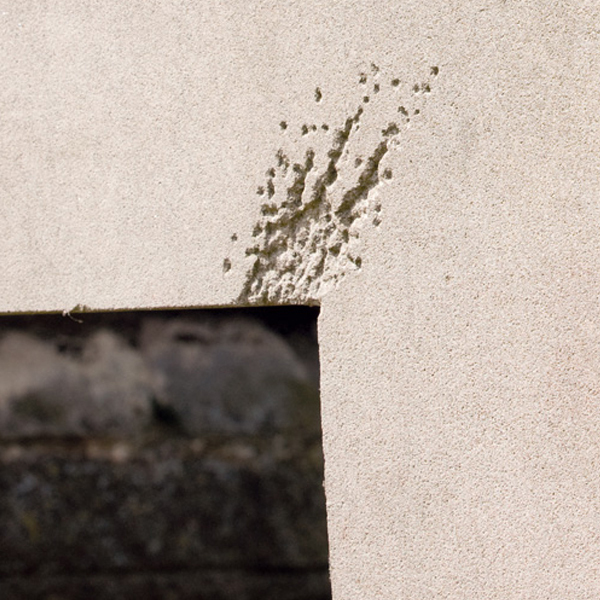 Elements of architecture and geometry are cut into these. Sites of transformation or metaphors for transformation such as gateways, passages and crucibles are forms I experiment with in an overlapping series of sculptures’. Born in Glasgow, Michael Dan Archer studied sculpture in Coventry and later moved to Japan. This proved to be an experience which later informed his work, through his use of materials and minimalist architectural forms.